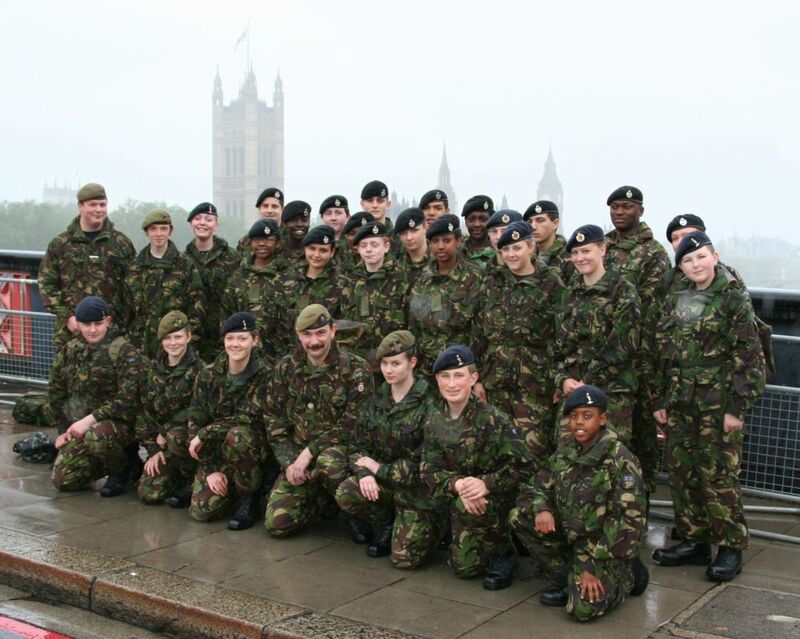 On Sunday 3rd June London Cadets were proud to be part of HM The Queen's Diamond Jubilee River Pageant. Among the tasks assigned to London’s cadets were escorting VIPs, selling programmes, distributing leaflets and helping members of the public at various London bridges. Army Cadets and ACF adult volunteers from South East and South West London ACF were manning Lambeth Bridge from an early hour on Sunday morning (pictured). Elsewhere City of London and North East London cadets and adults were tasked with distribution information leaflets (pictured). Meanwhile over at Imperial Wharf Marina, near Chelsea Harbour Pier, a small team of Army and Air Cadets and Adults were escorting and helping the many VIPs embarking on the passenger craft that were part of the flotilla (pictured). Not only was Imperial Wharf the departure point for many members of the royal family and other VIPs but it was the start point for the fabulous rowing craft "Gloriana", with Matthew Pinsent, Steve Redgrave and others sports men and women aboard. On the river the Sea Cadets in their motor craft grabbed everyone’s attention as in seeming endless numbers they led off a whole section of the flotilla (pictured).